I’ve just remembered a conversation I had with a friend a few years ago. This friend (Shall we call her Susan?) fostered children. Actually, she still does. Susan always liked to give her foster children the best of everything, be it clothes, jewellery, food… She could afford it so she always felt the need to indulge. Susan: Well I’m off into town to buy a mobile for the baby. Me: (Thinking, What?? A mobile?) A mobile Susan? Aren’t you taking it a bit far now? I was thinking that she’d really lost the plot now. Susan: What do you mean? Taking it a bit far? Me: (As red as a red apple. Not the best simile.) OOPs! I’d forgotten about those. Well! How was I to know? Hands up if you’ve had a Curlywurly recently? Well I have. I had one about an hour ago. Anyway the reason I’m asking is because is it me or are they a lot smaller? I know I always talk about the size of things but in this case, size really does matter. I love chocolate. Who doesn’t love the feel of a smooth, sweet, creamy taste of a chocolate bar. This is where I have to admit, (and advertise,) when it comes to chocolate, Cadbury know what they’re doing. When I bought the confectionery back in the day, I’m sure it was a lot bigger. In fact, when my children were young, I used to make them birthday cakes and I remember using Curlywurlies as ladders on my son’s Fireman Sam cake and my daughter’s snakes and ladders one. (Oh yeah, I know how to push the boat out!) Well on those cakes they looked a lot bigger. and buy two. Actually, that’s a lie as I bought a pack of 5. Don’t worry Ali, (My Weight Watchers leader) I won’t eat all of them… today. I promise. 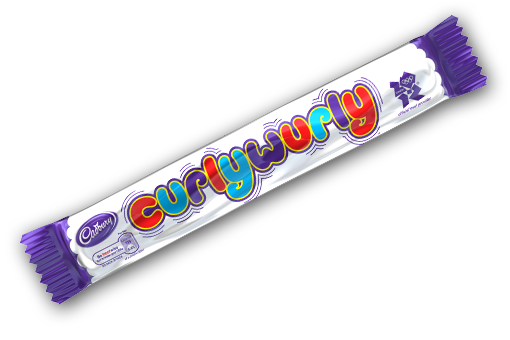 Comments Off on Hands up if you’ve had a Curlywurly recently?